The Correctional Service of Canada (CSC) uses psychological tests, assessment tools, and actuarial tests to assess the risk of criminal recidivism and psychopathy in inmates. The outcomes of these assessments inform an inmate’s security classification, transfer eligibility, parole eligibility, and pre-release decisions. Mr. Ewert, a 53-year-old Métis offender serving two life sentences in federal prison, commenced an action in Federal Court in which he alleged the assessment tools were unreliable when administered to Aboriginal inmates. The Federal Court (Justice Phelan) decided September 2015 that the CSC’s tests, such as the VRAG, SORAG, STATIC-99, VRS, VRS-SO, and PCL-R, were unreliable when used to assess Aboriginal inmates. In August 2016, the Federal Court of Appeal (Justice Dawson) reversed the decision of the lower Court finding that there was not enough evidence to prove the tests were biased and Mr. Ewert’s action was dismissed. Justice Dawson overturned the Federal Court’s ruling because she felt Mr. Ewert had not met the burden of proof to establish his claims on a balance of probabilities. Mr. Ewert had failed to show that the tests suffered from a cultural bias, that the cultural bias was significant, and that it affected Aboriginal inmates negatively. What makes this case so interesting is that the tests under scrutiny may, in fact, be cross-culturally biased for Aboriginal inmates but we do not know for sure. When a psychological test is developed it is standardized against a population of test takers to determine the test’s validity (i.e., the test measures what it is supposed to) and reliability (i.e., the test is consistent over repeated measures). In the case of the tests under scrutiny, they have been standardized against heterogeneous groups of inmates. The tests have not been standardized against a solely Aboriginal inmate population thus we cannot claim the tests are valid or reliable for Aboriginal inmates. While it is safe to assume that the heterogeneous group of inmates likely included a sub-group of Aboriginal inmates, it is not safe to assume that the validity and reliability determined for the larger group applies to any single individual or subgroup. Psychological tests are imperfect and bias always exists. Psychologists are trained to select tests and follow procedures in an attempt to reduce biases. Standardization is used to increase confidence in the validity and reliability of a test. If a test lacks appropriate research confirming the validity and reliability of the test for a specific cultural group, cultural bias may invalidate the results. Cultural bias occurs when scores on a test are significantly higher or lower between the specific cultural group and the population the test was standardized against. Cultural differences in symbols, conventions, perceptions, and interpretations can disadvantage an individual during test taking leading to inaccurate test results and interpretations. Forensic psychologists who provide assessments for recidivism and psychopathy should avoid relying solely on tests or scores. They should approach forensic assessments using structured clinical judgement. Forensic assessments should be conducted by a psychologist who is informed of theoretical, clinical, and empirical knowledge about violence. Information should be gathered from multiple sources using multiple methods, including data from testing when appropriate. Guidelines for assessment that are supported by research and clinically accepted should be followed. And, most importantly, consideration of individual and cultural characteristics of the person being assessed must be thoroughly explored. Dr. Stephen Rochefort, owner of Vie Psychology, Inc., is a registered forensic and clinical psychologist. Contact Dr. Stephen by email (stephen@viepsychology.com) or phone (403.986.1044). 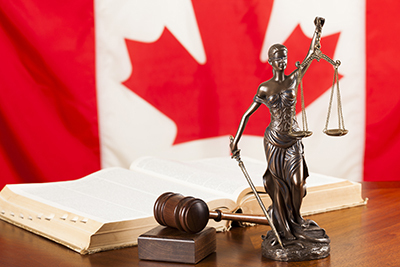 Information on Canada v. Ewert, 2016 FCA 203 (CANLII) is available at: http://decisions.fct-cf.gc.ca/fca-caf/decisions/en/168972/1/document.do.